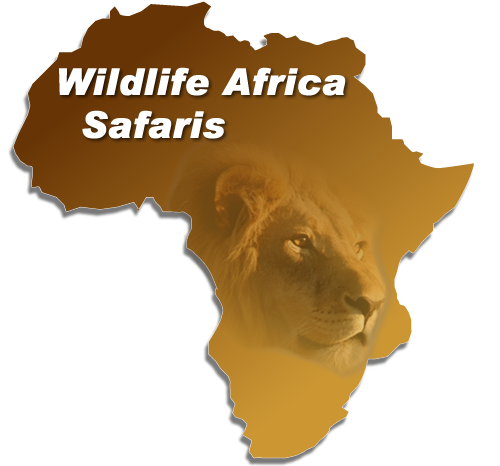 On arrival you are met and transferred to Madikwe Hills Safari Lodge for 2 nights. You will be welcomed and requested to sign the register and indemnity forms. 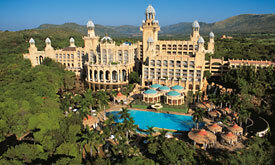 (The housekeepers will assist you with your luggage and take you to your room.). Your accommodation at Madikwe includes Three meals a day, teas and coffees, two game drives in open land rovers, refreshments on game drives, Emergency Medical Evacuation Insurance, Laundry, Soft drinks, house wines, local brand spirits and beers. 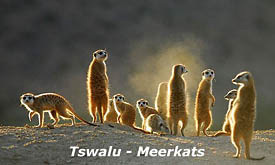 Depart on a direct flight to Tswalu. 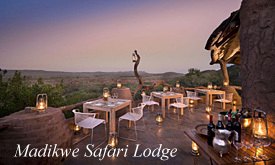 You are met on arrival and transferred to Tswalu Motse Lodge for 6 nights. 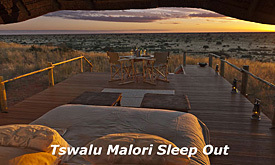 Your accommodation at Tswalu includes Three meals a day, teas and coffees, two game drives in open land rovers, refreshments on game drives, Nature Walks, Private Safari Vehilce and ranger, Horse Riding, Soft drinks, house wines, local brand spirits and beers.